NATO will never recognize the illegal annexation of Ukraine’s Crimean Peninsula by the Russian Federation, NATO Secretary General Jens Stoltenberg said in his opening remarks at the meeting of the NATO-Ukraine Commission in Kyiv July 10. “We really value Ukraine’s many contributions to the Alliance over the past two decades. Ukraine is the only partner participating in all NATO missions and operations, including in Afghanistan and in Kosovo,” Stoltenberg said, according to an UNIAN correspondent. “We are also here to demonstrate NATO’s solidarity with Ukraine and our firm support for the sovereignty and the territorial integrity of your country,” he went on to say. 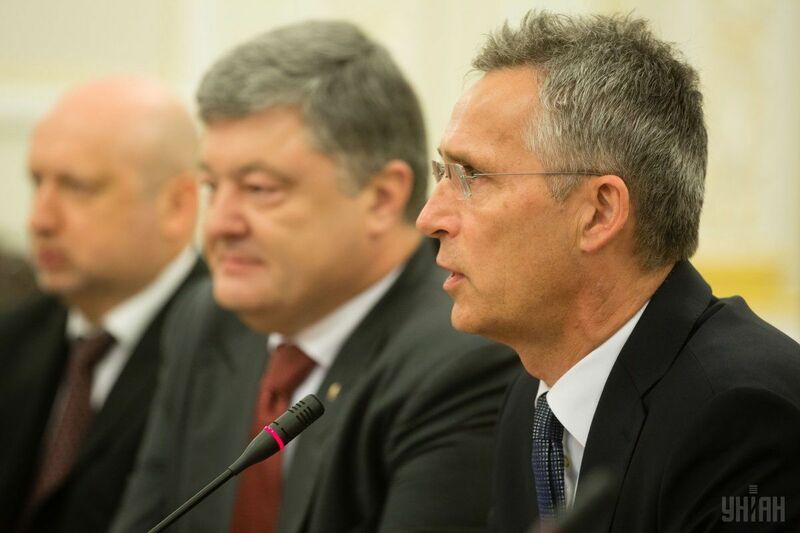 Read alsoNATO chief Jens Stoltenberg: "We cannot isolate Russia. Therefore, we believe in deterrence, defense and predictable approach but, at the same time, open channels for political dialogue"As UNIAN reported earlier, the delegation of the North Atlantic Council is visiting Ukraine July 10, led by NATO Secretary General Jens Stoltenberg.